Setting up a root account and password is one of the most important steps during your installation. Your root account is similar to the administrator account used on Windows NT machines. The root account is used to install packages, upgrade RPMs, and perform most system maintenance. Logging in as root gives you complete control over your system. Use the root account only for system administration. Create a non-root account for your general use and su - to root when you need to fix something quickly. These basic rules minimize the chances of a typo or an incorrect command doing damage to your system. 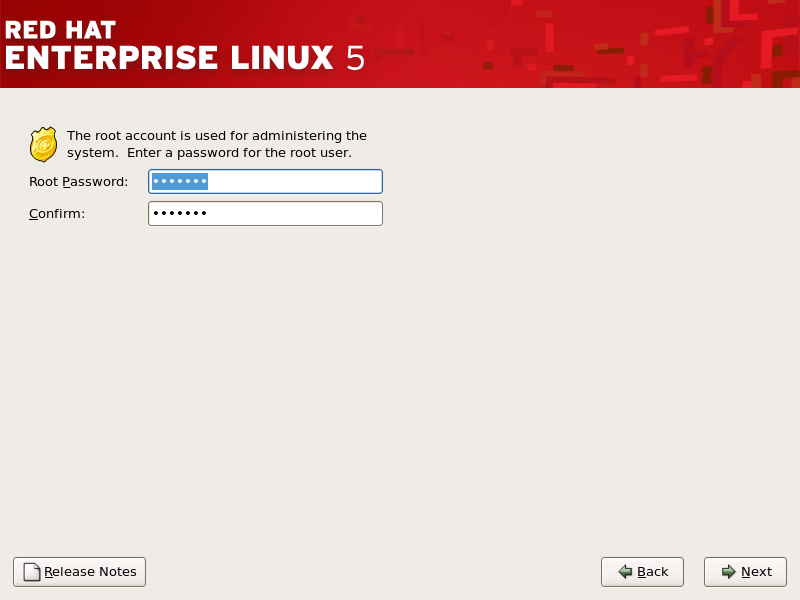 The installation program prompts you to set a root password for your system. You cannot proceed to the next stage of the installation process without entering a root password. To change your root password after you have completed the installation, use the Root Password Tool. Type the system-config-rootpassword command in a shell prompt to launch the Root Password Tool. If you are not root, it prompts you for the root password to continue.